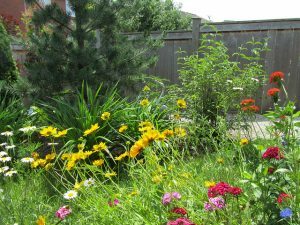 Including wildflowers in the home garden adds beauty, brings surprise, attracts pollinators, and creates a natural looking, informal landscape. If you select a location to match their natural growing conditions— sun/shade, wet/dry, open area/woodland, and elevation—wildflowers easily co-exist with typical garden plantings and require little maintenance. 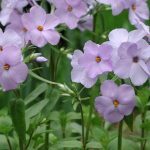 Many of these are available at local and mail-order nurseries, but not all species will be native to our area and many will be hybridized, or cultivars selected because they are unusual or showier. 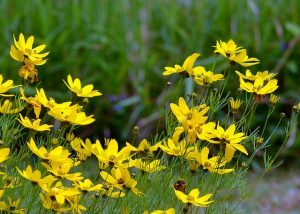 If you enjoy including self-seeding plants in your garden, some shorter-lived Coreopsis and Rudbeckia species, as well as columbine (Aquilegia canadensis), blazing star (Liatris spicate), cardinal flowers (Lobelia cardinalis), and bird’s foot violet (Viola pedata) will persist and often spread in your garden through reseeding. 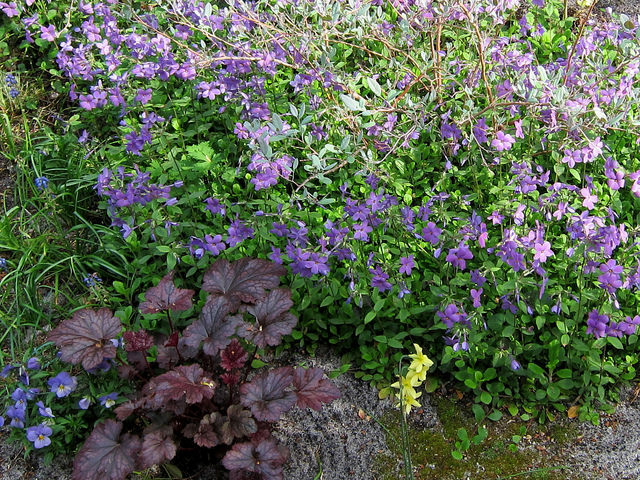 Low-growing wildflowers can make attractive groundcovers, too. 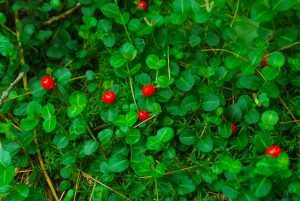 Partridgeberry (Mitchella repens) has tiny white flowers followed by bright red berries that stand out against evergreen leaves. Other wildflowers, like lady slipper orchids, are much more difficult to propagate and/or transplant and are best admired in their natural habitats! Article written by Beth Leonard, Extension Master GardenerSM Volunteer. Mellichamp, Larry (2014). 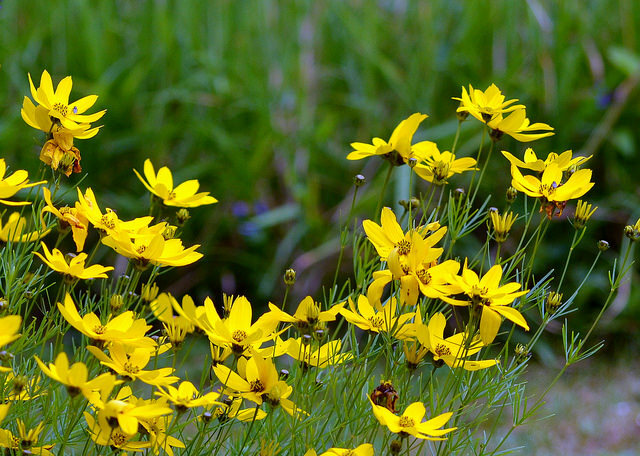 Native Plants of the Southeast: A Comprehensive Guide to the Best 460 Species for the Garden. Timber Press. 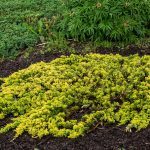 Low-growing groundcovers—those reaching no more than 6 inches in height—are ideal for difficult areas such as sunny slopes or shade, particularly under trees, where grass will not grow. 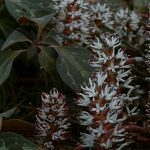 Shorter groundcovers are especially useful in rock gardens, along pathways, and at the front of borders. 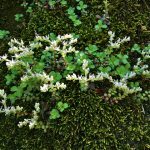 Most low-growing groundcovers spread by rhizomes (rootlike structures under the ground) or stolons (above-ground runners). Clear the area of weeds and grass before planting. 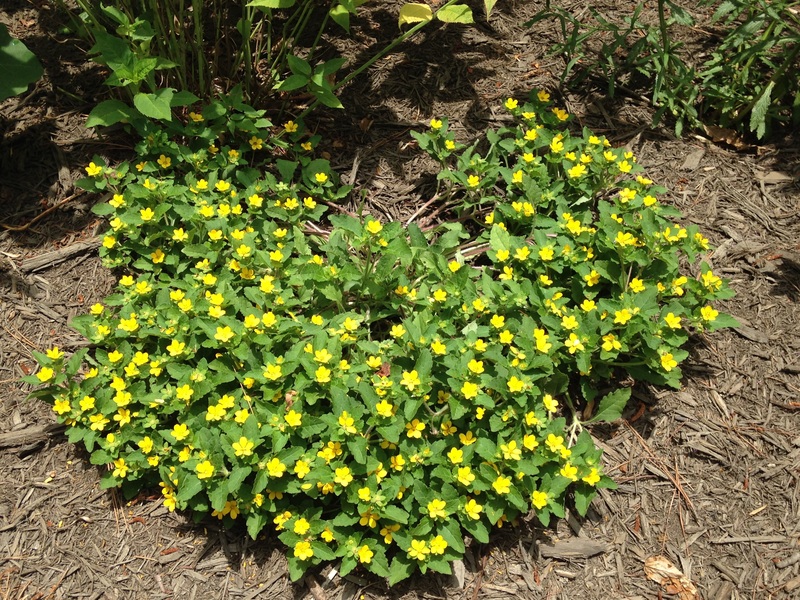 Groundcovers are tough, once established, but competitors can easily overrun them when first planted. Test your soil to determine if you need to add fertilizer or lime. 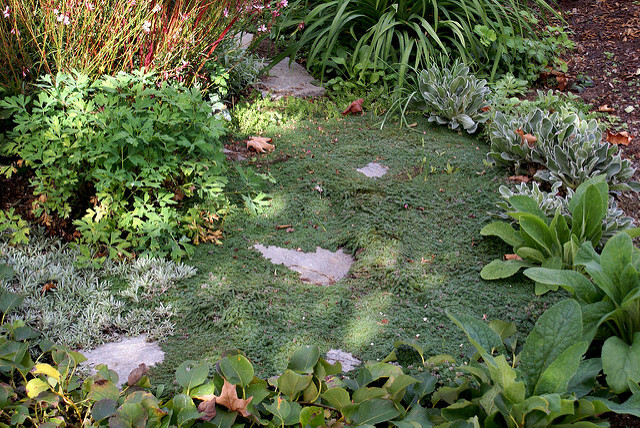 Weed regularly to keep gaps clear in the several years it takes most groundcovers to fill a space. Water your new plantings regularly for the first year. 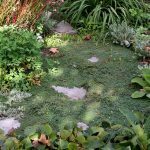 Divide your groundcovers to fill in any remaining gaps. 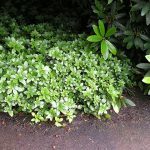 Choose groundcovers that fit your site. 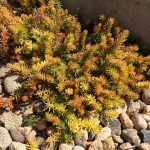 Pay attention to the plant species and growing requirements—light, moisture, frost hardiness—as well as other characteristics—evergreen or deciduous. If flowering, consider the flower season, size, and color of the specific cultivars or varieties you pick. 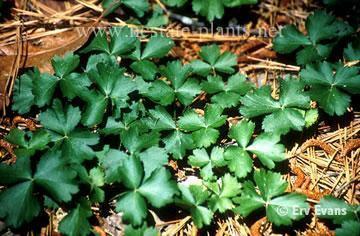 Allegheny spurge (Pachysandra procumbens) is a shade-loving pachysandra that will not become invasive. It has fragrant, bottle-brush type blooms in the spring and attractive mottling on its leaves. 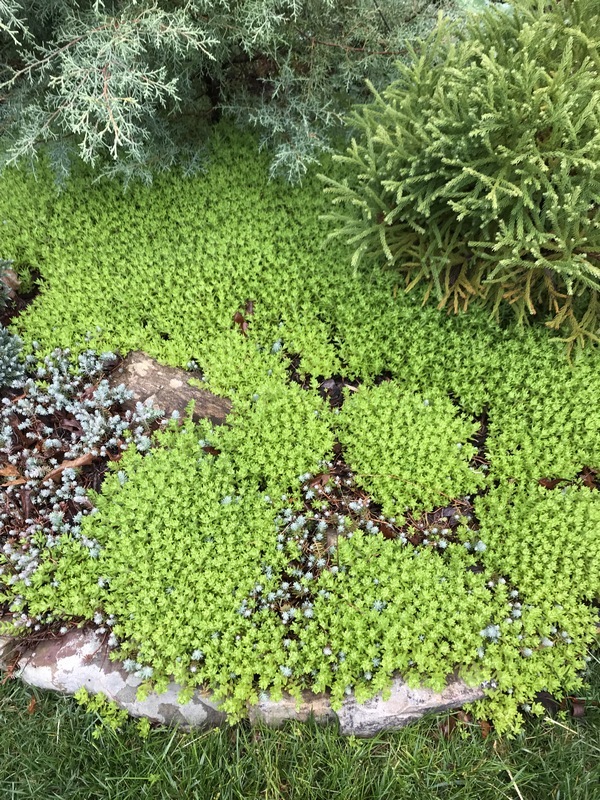 It is semi-evergreen in Western North Carolina and will tolerate drought and dense shade. 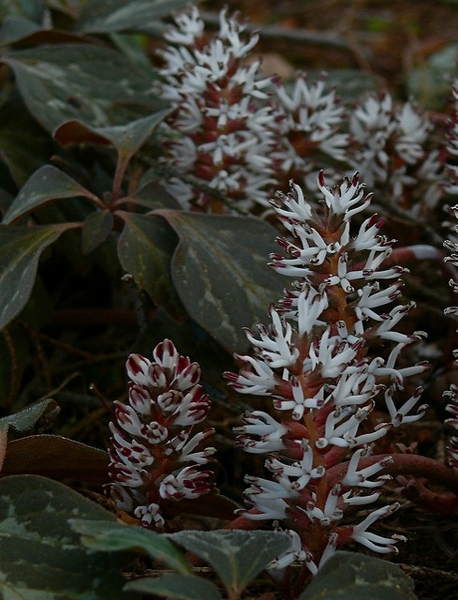 Allegheny spurge does well under trees and on slopes if they are not too sunny. Plant 6 to 12 inches apart in moist, rich, acidic soil. 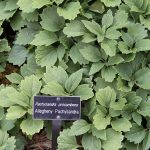 Appalachian barren strawberry (Waldsteinia fragarioides) prefers partial shade. 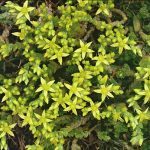 It has yellow flowers in the spring, grown mainly for its foliage—evergreen leaves that turn an attractive dark red or bronze in winter. It is a good choice for slopes that are not in full sun. 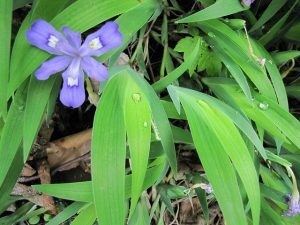 It spreads by rhizomes and is easy to divide once established. Plant 16 inches apart; it will spread about 18 inches per plant. 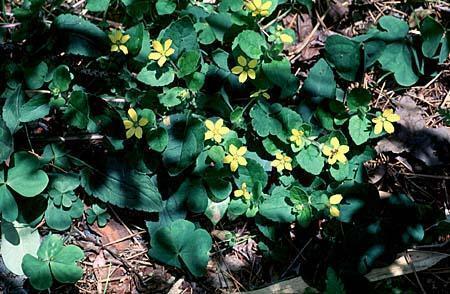 Green-and-gold (Chrysogonum virginianum) thrives in part-sun, part-shade settings. 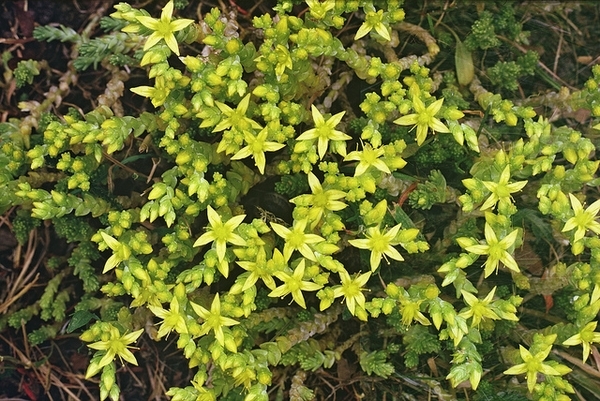 It has pretty yellow flowers in the spring and bright green, evergreen foliage. It makes an attractive border. Green-and-gold prefers moist, acidic, rich soils and appreciates consistent moisture with good drainage. Plant 18 inches apart. 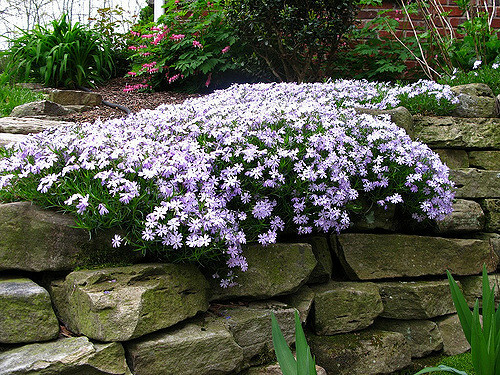 Phloxes: Creeping phlox (Phlox stolonifera) tolerates shade and moss phlox (Phlox subulata) loves sun. 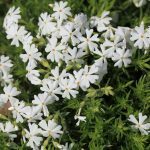 Many people call them both creeping phlox, in contrast to the tall garden phloxes. 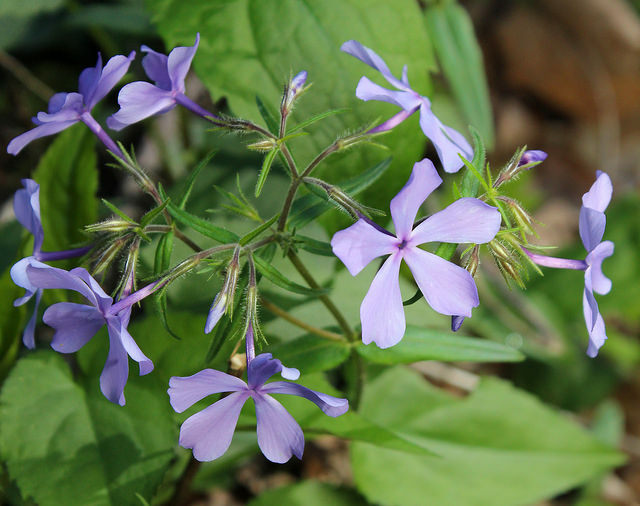 Phlox stolonifera is a woodland plant and prefers rich, moist, shady locations with good drainage. 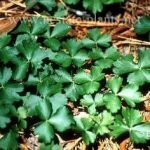 It can do well under trees, shady rock gardens, or in other shady, moist areas. 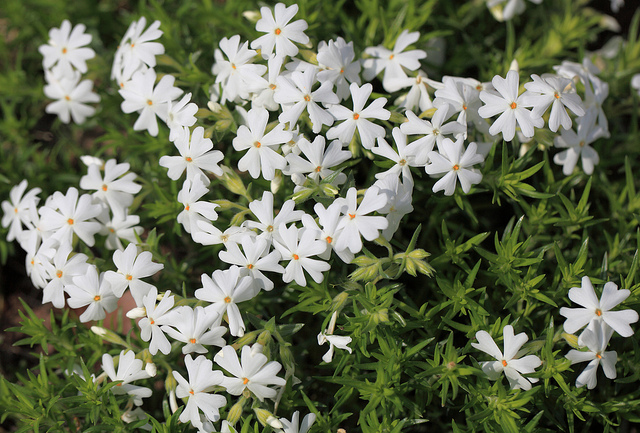 Phlox subulata likes sun and good drainage, making it an excellent choice for sunny slopes. Its foliage is needle-like, distinguishing it from its cousin which has oval leaves. Both phloxes come in a variety of pastel colors as well as white. The recommended spacing between plants is 12 to 18 inches. 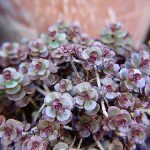 Sedums: There are many stonecrops (Sedums) that are useful as groundcovers. 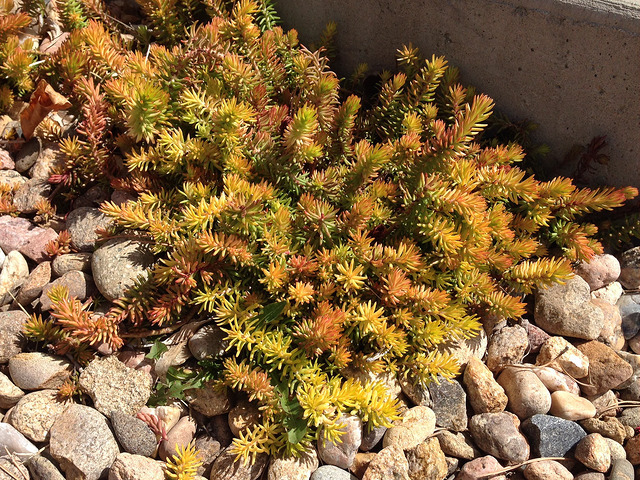 Low-growing sedums thrive in thin, poor soils and will grow on and around rocks. 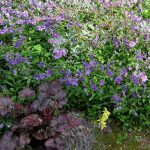 They are a good choice for rock gardens and walkways, planted in gaps or cracks, and in borders. Most readily available varieties are not native to our area, love sun, are drought tolerant, and do well on dry, hot slopes. 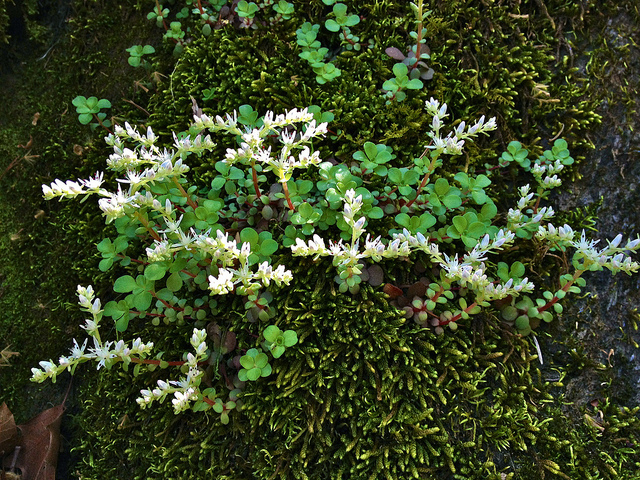 Our native Sedum ternatum, known as wild or woodland stonecrop, prefers some shade, and has unusual white flowers in late spring to early summer. Space 8 inches apart. Article written by Judy Deutsch, Extension Master GardenerSM Volunteer. If bees could speak, they would strongly suggest that instead of mulching our landscapes, we should plant flowering groundcovers. Expanses of mulch, to most of North Carolina’s 400 native bees, are food deserts offering little or no housing. 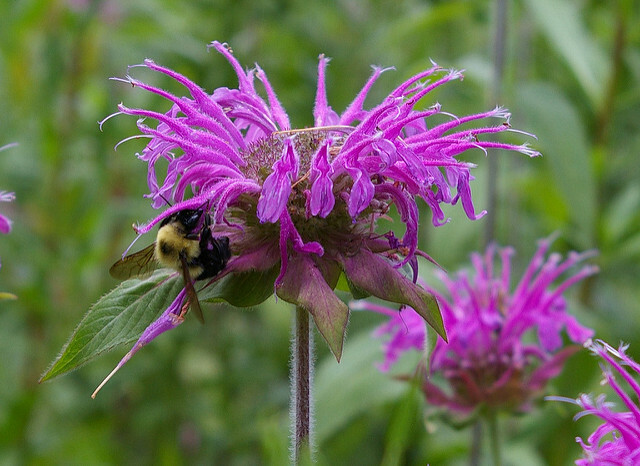 Bees rely entirely on flowers for food and raising young, and most flowering plants rely on pollinators to produce seed. No flowers, no bees! A wealth of options let you choose height, color, and bloom time to suit most any site—and no need to choose just one! 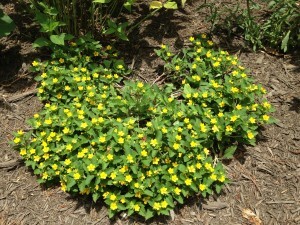 Green and gold (Chrysogonum virginianum)—Almost nothing beats our native green and gold for beauty and ease of growing. 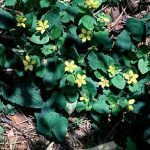 Bright green with abundant yellow flowers, it thrives in most well-drained soils in part-shade to part-sun, though it tolerates deeper shade and full sun. 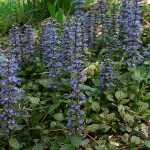 Bugleweed (Ajuga reptans) produces a beautiful bee-friendly carpet that suppresses most weeds yet allows access to the many ground-nesting pollinators. 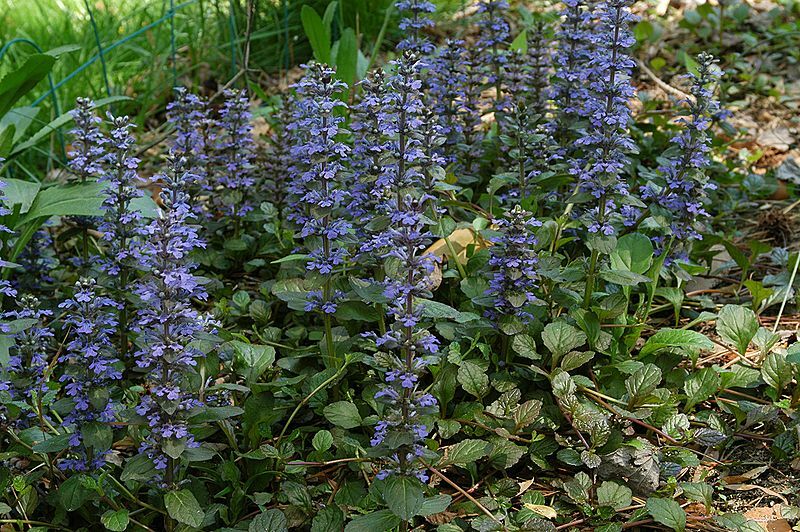 Both green and gold and bugleweed bloom in mid- to late- May, spread readily but are easy to contain. They benefit from dividing or thinning every year or two, yielding more plants for your garden or to pass along. 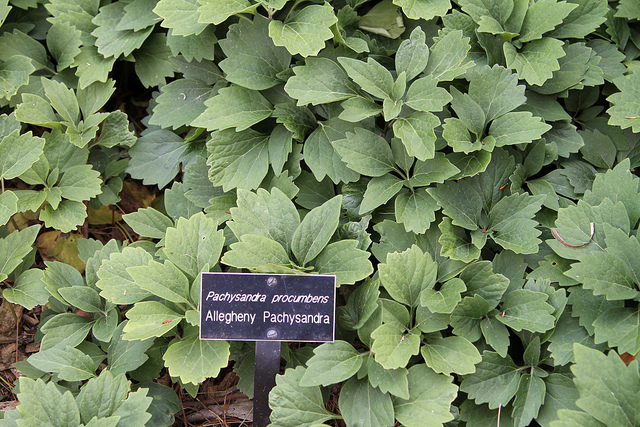 Pachysandras—Japanese pachysandra (Pachysandra terminalis) is a common groundcover for part to deep shade, especially under trees; but the native pachysandra, also called Allegheny spurge (Pachysandra procumbens), is a taller, slower-spreading, interesting alternative that blooms in very early spring when so many pollinators are in need of nectar and pollen. 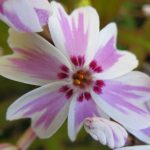 Phloxes—Creeping phlox (Phlox stolonifera) and moss phlox (Phlox subulata), both of which are native plants, are useful for sunny slopes. Herbs. 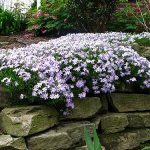 Many herbs are wonderful flowering groundcovers for sunny, dry sites. 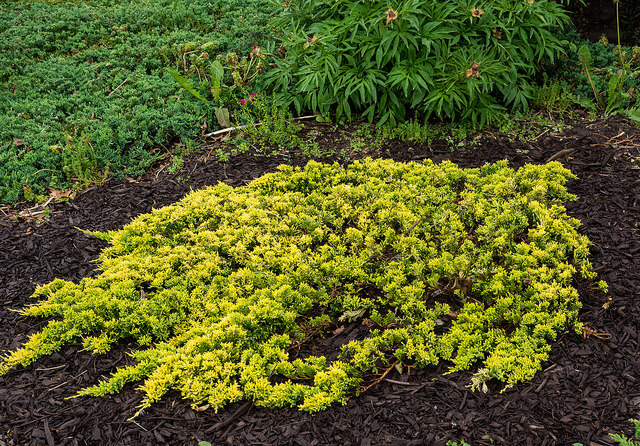 Thymes—Lemon thyme (Thymus citriodorus) produces fewer flowers but quickly makes a thick mat that stops all weeds. 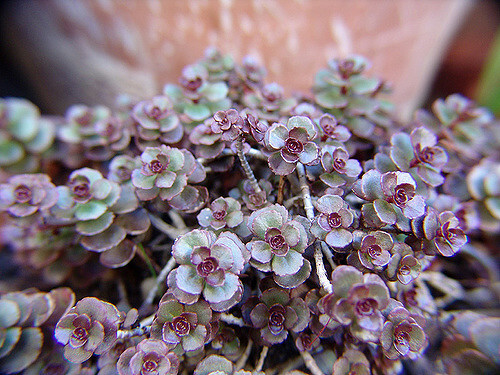 Creeping or red thyme (Thymus praecox ‘Coccineus’) is shorter, semi-evergreen, and tolerates a bit of foot traffic. 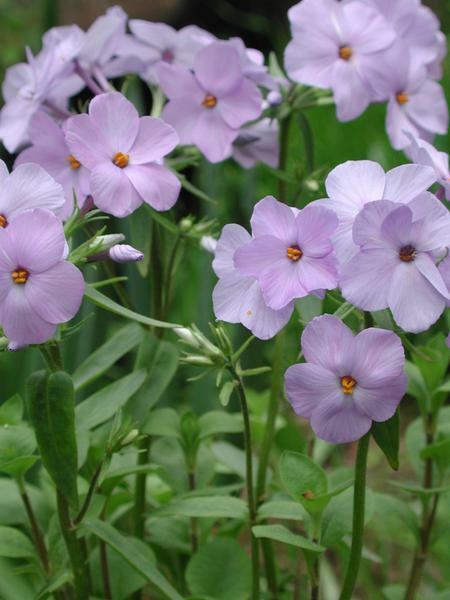 From a distance when in bloom, its cloud of reddish lavender flowers gives an effect similar to that of the phloxes. 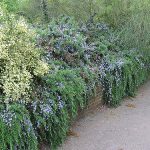 Prostrate forms of rosemary (Rosmarinus officinalis) are fine groundcovers, though not always winter hardy and must have well-drained soil. 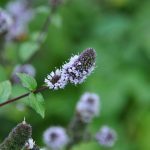 Mints (Mentha)—Although not as easy to control or contain as other groundcovers, mints are a favorite source of nectar and pollen for many bees and certainly do a great job of covering bare soil and suppressing unwanted weeds. 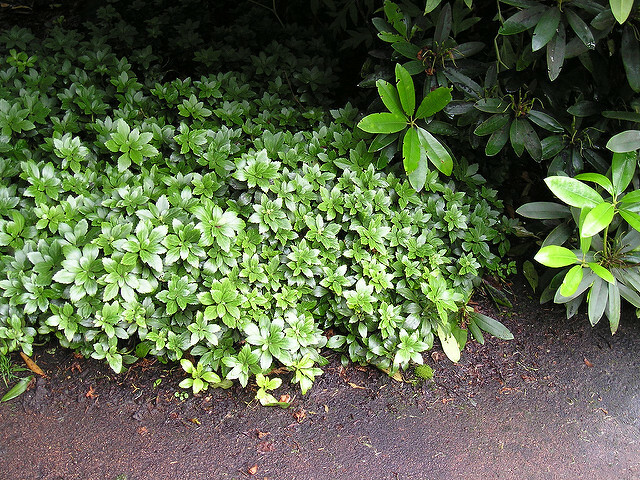 Some people choose (or try) to control mints’ aggressive tendencies by planting them in a deep pot or other container, then putting the container into the ground. Shrubs. 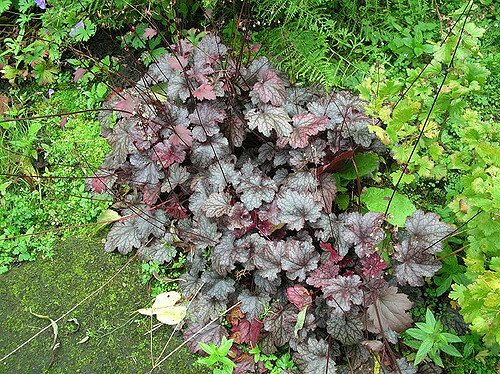 Several suckering shrubs provide excellent groundcover, particularly on slopes. 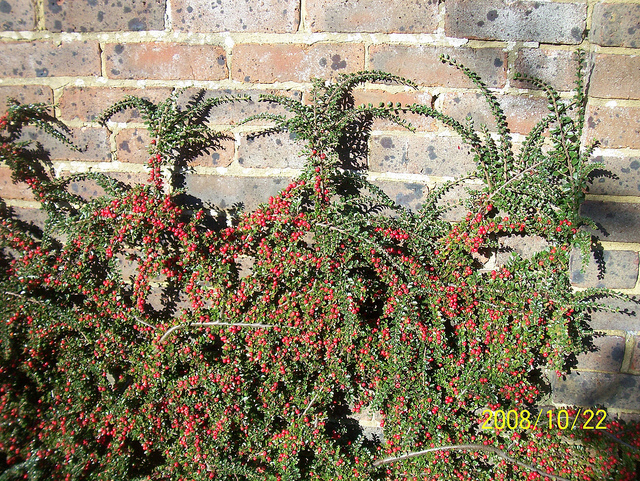 Cotoneaster’s tiny white spring flowers feed bees and the resulting red berries feed birds through the winter. Several species, including willowleaf (Cotoneaster salicifolius), keep their rich deep green color through the winter. 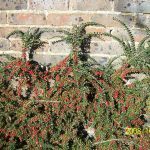 The rockspray species (Cotoneaster horizontalis) is an excellent option for places needing a much shorter plant. 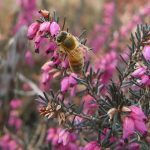 Winter-blooming heathers (Erica) are another excellent groundcover, tough and drought tolerant once established, they need loose, amended, well-drained soil. ‘Springwood White’ and ‘Springwood Pink,’ are widely available; but you can find many other colors and heights. 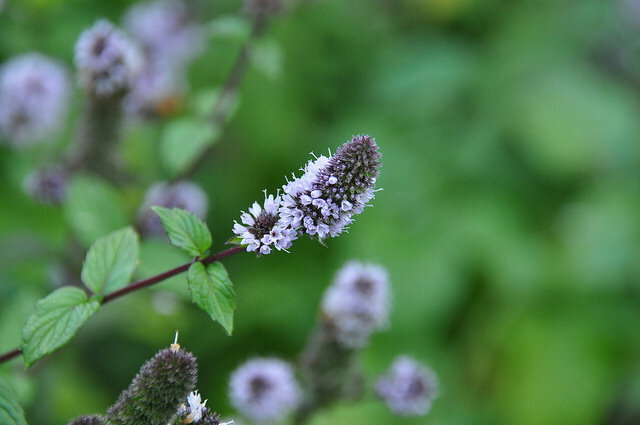 These plants bring a special dynamic to the winter garden—there’s nothing quite like watching honeybees gather nectar on a mild January day to warm a gardener’s heart! 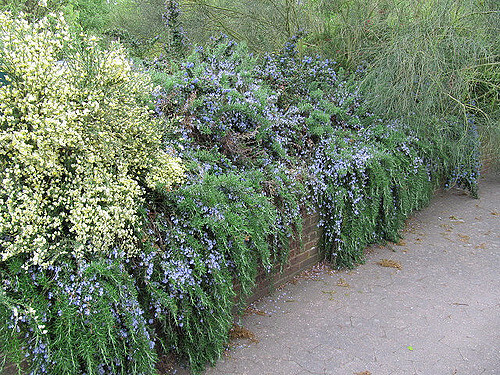 Creeping evergreens (such as (Juniperus ) do not offer floral resources but provide excellent erosion control on slopes and allow access to underground nesting pollinators. 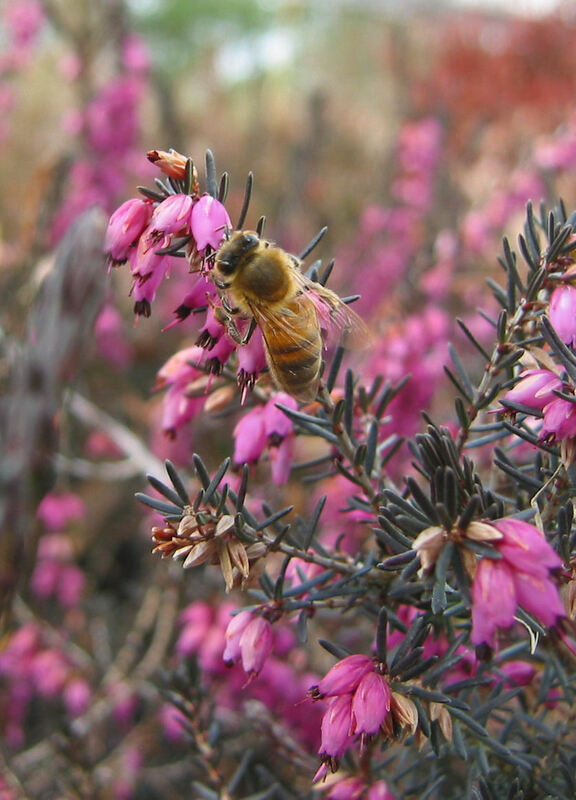 Honeybees will also harvest resins from many conifers to use as caulk and an immune system ingredient. 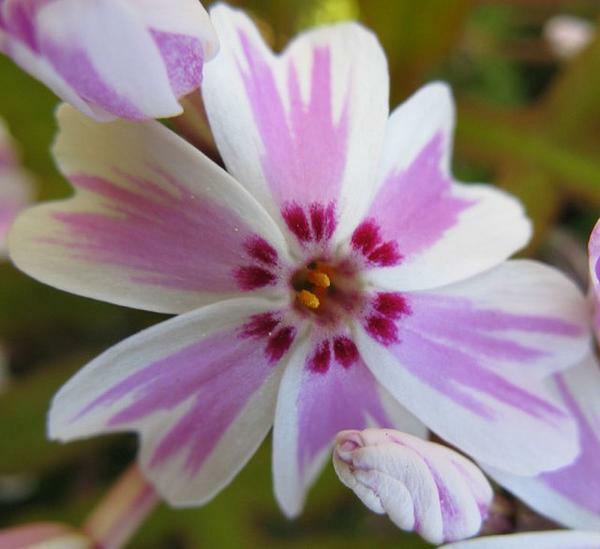 Article written by Diane Almond, Extension Master GardenerSM Volunteer.